Any event, any time, anywhere. The ideal solution where temporary wheelchair access is required to stages or mezzanine levels in schools, theatres, halls etc. Enquire about our access platform today! Our experience in vehicle presentation, elevation, and ramping is often used as a service on its own. Active participant in making special occasions, unique special occasions. Corporate Stage Solutions can deal with any surface. Pools, beaches, large bodies of water — we've got them covered. 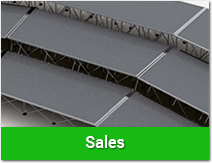 Corporate Stage offers custom ramp solutions to overcome any kind of terrain. Who says square pegs can’t fit a round hole? The Bronco’s don’t! Our curved stage solution was just what they needed for their 2014 Keg Room event. Ramps to 2.5 metres high, any shape, anywhere. No matter what the obstacle might be. Give us a call we can work it out for you. Special events call for special staging solutions. 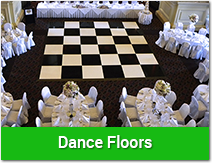 Dance floors for every occasion. Corporate Stage Solutions lays the dancefloor for the 2014 Queensland Dancesport Championships. If you're holding a school event, a private party, or even a motor show in the Brisbane or Gold Coast area. 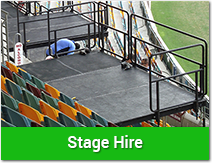 We can answer all of your questions related to stages & tiered seating. If you require a quote for any of our staging, dance floor, or tiered seating services, click here to load our simple and straightforward quoting form and one of our experts will be in touch. 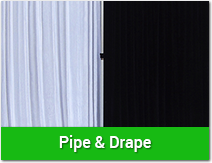 Corporate Stage Solutions have been supplying staging solutions to the industry since 1998. It is our vision not only to remain market leaders but to be innovators in the stage industry. We are constantly refining, advancing, developing and introducing new products and ideas for both hire and sale. I just wanted to say a big thanks to your guys who came and installed the staging - the measurements that the venue sent to us where incorrect, and we finished putting the set in on Tuesday realising that it wasn't all going to fit. Your guys were incredibly accommodating. Memories are made at events such as this and we couldn’t have done it without you. We were VERY happy with what was provided last weekend, thank you. I can’t get over how easy you have been to work with- it’s a refreshing change! If only all quotes and dealings with suppliers could be this easy! Thank you for your assistance with our dancefloor for our wedding on 3 November at GoMA. You were very easy to work with and so helpful, which was great. The dancefloor really made the night! I just wanted to say thanks for solving the situation today. Your guys were great as usual. Really appreciate your professionalism. Just wanted to thank everybody for a fabulous ANZAC EVE concert. Everything ran extremely smoothly from bump in to bump out. It would not have been the success it was without your input and involvement. Thanks again for everyone’s hard work and I look forward to working with you all again. Visit our Quotation Request form, input your details, and get your staging sorted.